Located in Southwestern South Dakota, Badlands National Park (www.nps.gov/badl) features a rugged landscape dotted with an almost otherworldly collection of geological formations. The windshield views of the convoluted rock formations are spectacular, so you don’t even need to get out of your vehicle to enjoy it all. On the other hand, if you’d like to linger a bit, there are plenty of wheelchair-accessible trails and overlooks along the way, as well as an accessible lodge to spend the night. 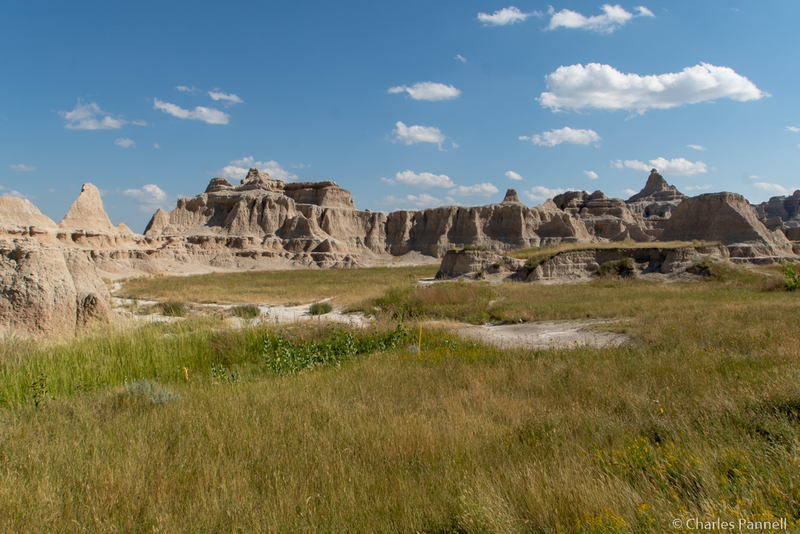 Although the landscape looks foreboding, it’s easy to get a good overview of the park from a drive along Badlands Loop Road, There’s no shortage of accessible viewpoints and pullouts along the way, most of which aren’t even marked on the park map. 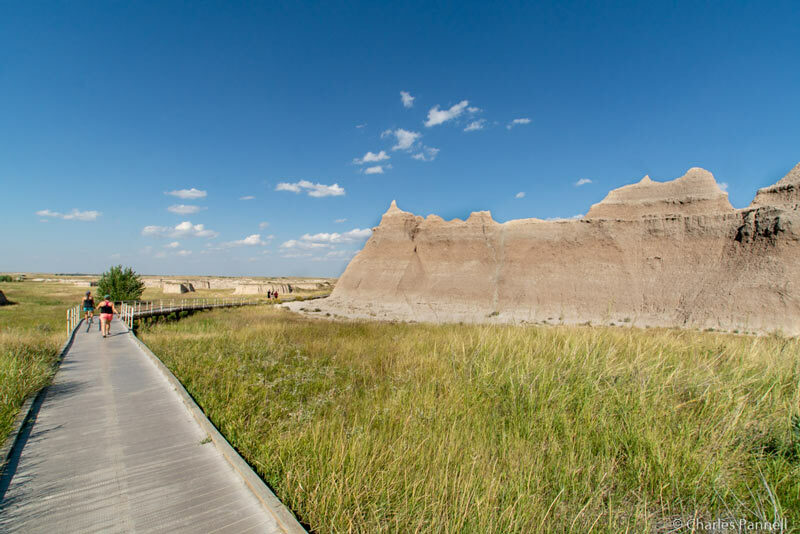 There are also several accessible trails along Badlands Loop Road, including the Window Trail and the Door Trail, which are just a short drive from the visitor center. Both trails can be accessed from the same parking lot, which includes accessible parking and an accessible vault toilet. The Window Trail is located on the south side of the parking lot. The level boardwalk leads out to a natural window that looks out on eerie hoodoo-like formations off in the distance. It’s a pleasant quarter-mile out-and-back stroll. The Door Trail is located at the other end of the parking lot, near the much needed shade structure. 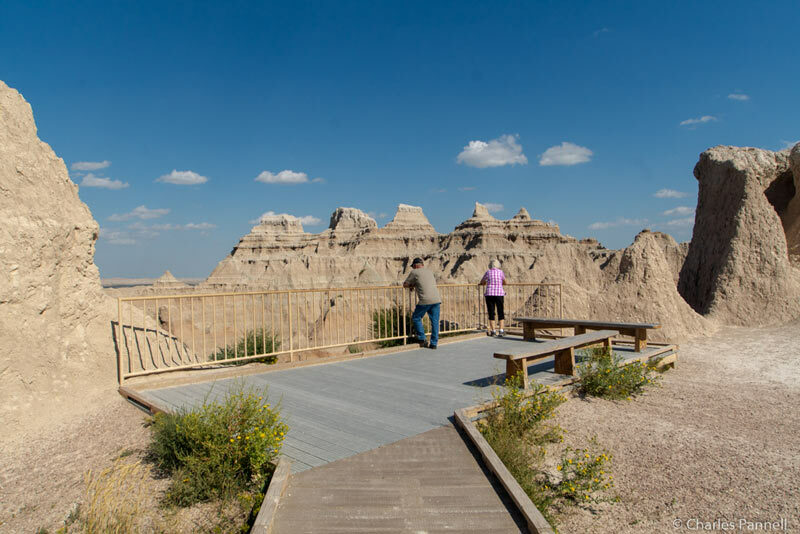 The level boardwalk snakes between a break in the Badlands Wall — called The Door — and opens up to a sweeping sandstone canon view at the end. It’s a .75-mile round-trip hike, and if you need a break, there are a few benches along the way. And don’t miss the Fossil Exhibit Trail, which is located near White River Valley Overlook. Accessible parking and an accessible vault toilet are located near the trailhead. This quarter-mile boardwalk features low bumpers for unobstructed views, and includes interpretive panels that describe the extinct creatures that once roamed the area. Examples of fossils are also located along this nicely accessible loop trail. If you’d like to spend a few days in the park, then check out Cedar Pass Lodge (www.cedarpasslodge.com), which is one of the newest properties in the national park system. You just can’t beat the location either — it’s right next door to the Ben Reifel Visitor Center. Designed to resemble the rustic 1928 Cedar Pass cabins, the modern incarnation includes all the creature comforts that travelers expect today. It has several accessible cabins, including cabin 101, a duplex model. Access features include ramp access to the front porch, wide doorways, excellent pathway access, a lowered clothing rod, and wood floors for easy rolling. 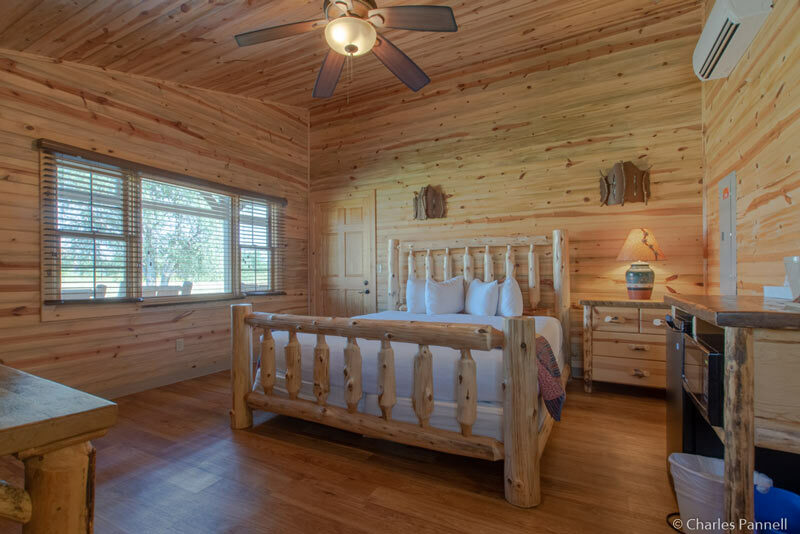 The interior is equally striking and includes walls paneled with beetle-kill pine from the Black Hills, and furnishings that are hand-crafted from Lodgepole pines. Furnishings include a 23-inch high bed with wheelchair access on both sides, a table, two chairs, a refrigerator and a microwave. There’s also level access out to the spacious back deck, which is a great place to enjoy the sunset. 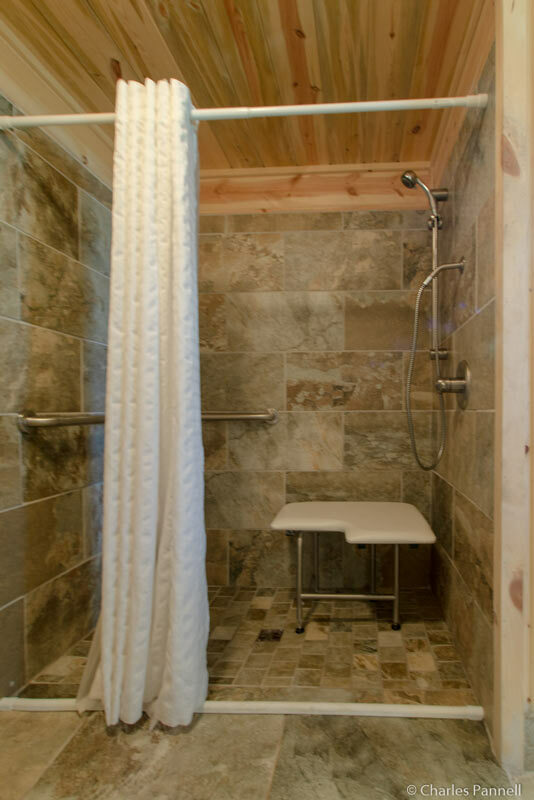 The bathroom is furnished with a roll-in shower with grab bars, a hand-held showerhead and a padded shower bench. 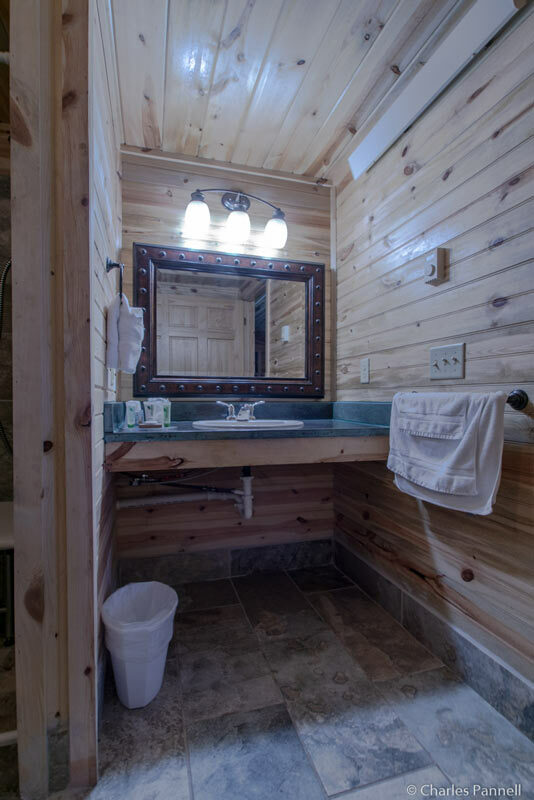 The toilet grab bars are located on the back and right walls (as seated), and the bathroom also includes a roll-under sink and a lowered mirror. 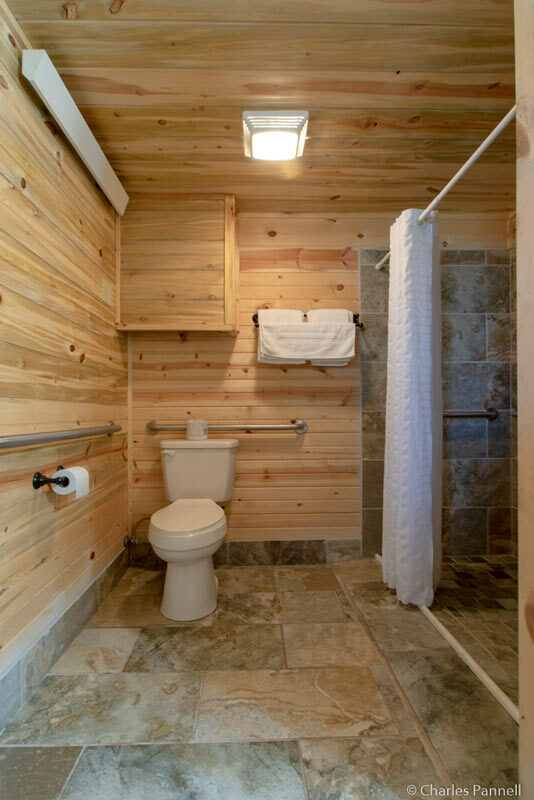 And like the rest of the cabin, there’s plenty of room to maneuver even the largest wheelchair or scooter around the bathroom. There’s also good access to the public areas of the property, including the gift shop, registration area and the restaurant. 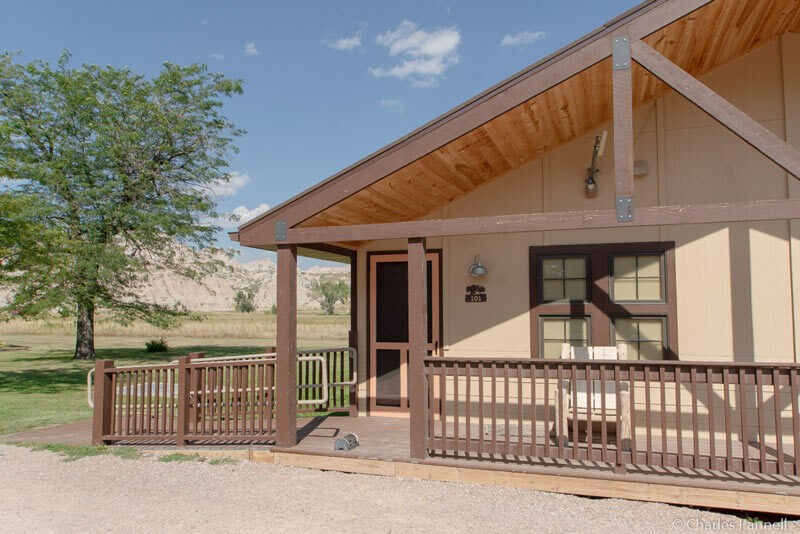 The only in-park lodging option in Badlands National Park, Cedar Pass Lodge makes a great home-base for any Badlands visit. And you just can’t beat the scenery!